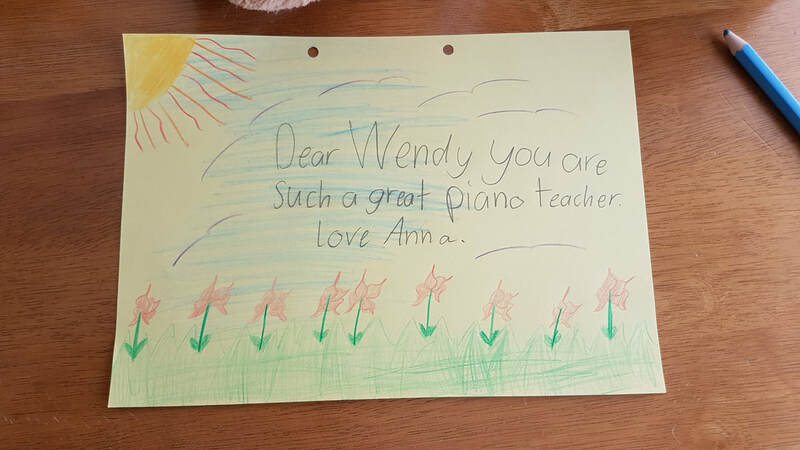 "Wendy is an amazing, kind and talented piano teacher. I would highly recommend Wendy to anyone wanting to learn and enjoy playing the piano . Wendy has a lot of patience and her professionalism and dedication to teaching the piano is evident in the results she gets from her students. One of my favourite things about Wendy is she teaches every child as an individual and knows how to get the best out of them by her unique teaching style. She makes learning the piano fun. Halle my 10 year old daughter has been learning piano from Wendy for over 3 years and she enjoys all her lessons." "I highly recommend Wendy Love. My daughter looks forward to her lesson every week & has progressed wonderfully in just six months of being taught by Wendy. Wendy is patient, kind & makes her lessons extremely enjoyable all the while being very thorough. I cannot recommend Wendy enough." I've always wanted to learn to play the piano but thought I was too old. Thanks to Green Point Piano and teacher Wendy Love, I'm not only learning, I'm loving it. Wendy is a fantastic teacher, with lots of patience and encouragement. Within weeks, I'm not only playing, I can read notes and look forward every week to my lessons. Don't wait, be like me and just pick up the phone to book your first lesson. "Before having lessons with Wendy, my daughter had been learning piano for several years with little progress. She wasn’t being taught to play she was just being told which piano keys to press which was neither worthwhile nor enjoyable. Since joining Wendy’s studio, my daughter has passed grades 1 and 2 AMEB and grade 1 musicianship and has learnt to really appreciate music and the joy that comes with being able to read it and interpret it through every note that’s played." "I can highly recommend Wendy as an extremely knowledgeable and competent piano teacher after having commenced lessons with her almost two years ago aged in my late forties. It is never too late to learn an instrument and Wendy has demonstrated that she is equally capable of teaching children and adults alike. She has an easy going nature and yet provides the structure that I require in order to achieve the progress I expect. If you are an adult considering piano lessons, or the parent of a child who may wish to embark on a musical career, Wendy will provide the professional tuition as well as a friendly non threatening environment in which to learn." "Thank you for all the patience and encouragement you have shown to the girls." "Thank you for restoring my faith in piano"
"Thank you for teaching us the piano"
"I like piano, Piano is fun"